I can't believe that February is nearly over and Spring is right around the corner. I thought the end of February would give us some more winter weather but in North Carolina, the temps haven't been below 55 degrees and I've already started packing up my winter coats! But I'll be sure to keep out my sweaters just in case the weather flip flops and plus, I love a sweater and shorts combo when transitioning between seasons. 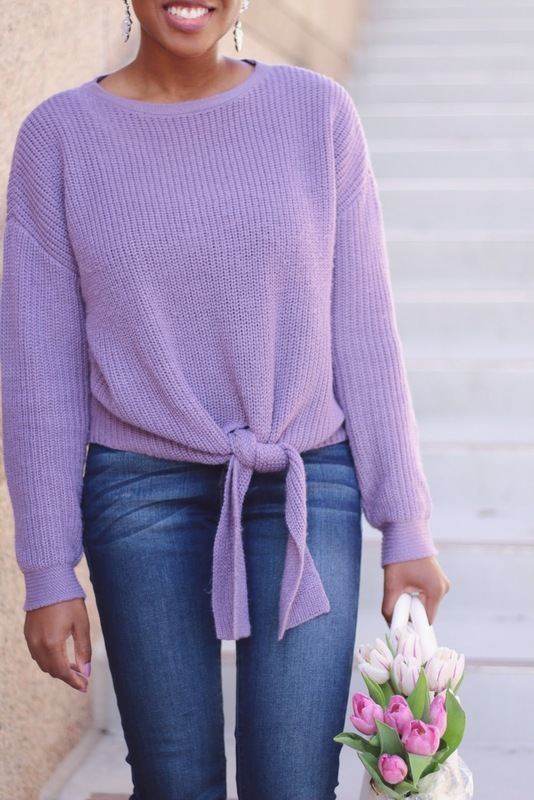 And speaking of sweaters, I spotted my new favorite sweater I'm wearing in today's post from Target's new collection Universal Thread. 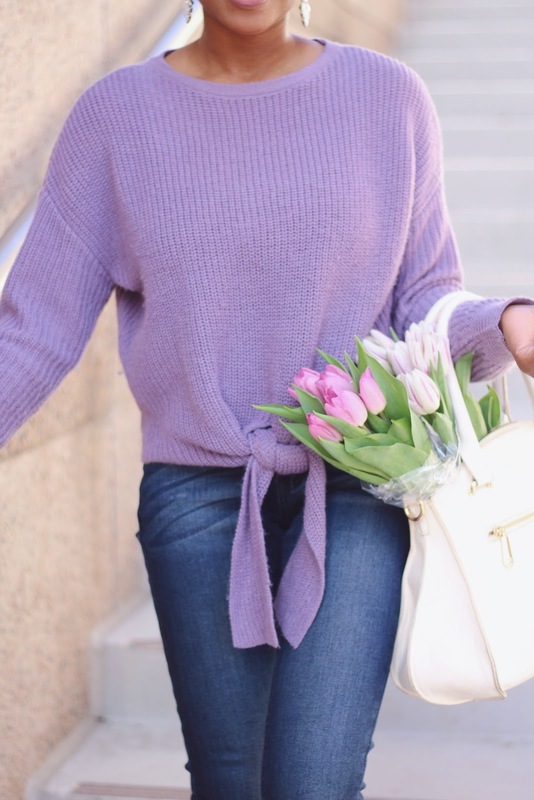 Along with this comfy Lavender sweater, I'll be sharing a few of favorite pieces from this new line. 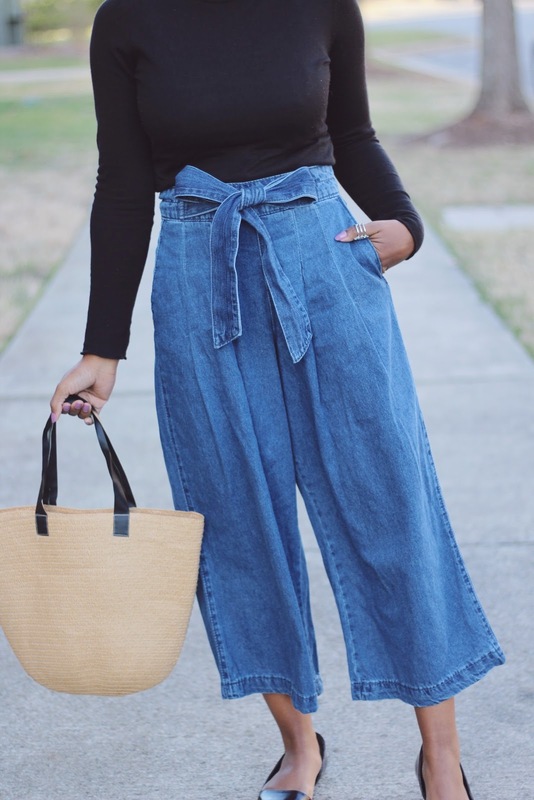 It's stylish, affordable and has plenty of amazing pieces for spring! 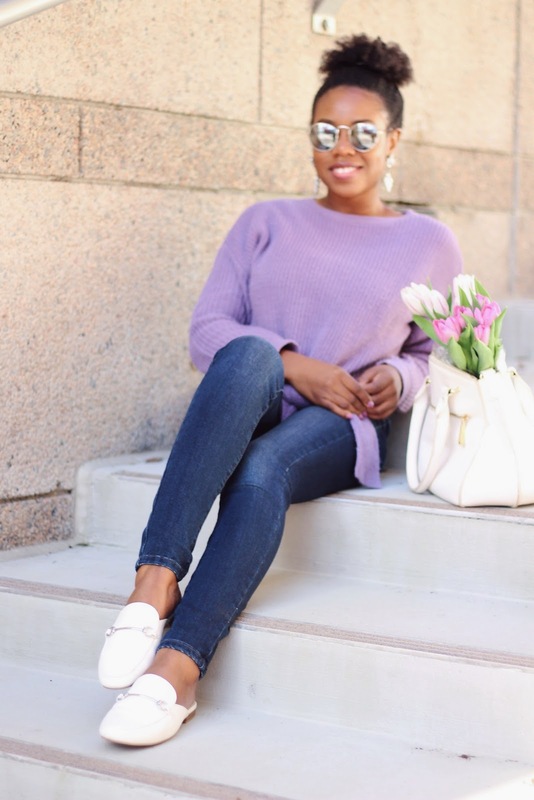 The Lavender color of this sweater is just perfect for spring! The material is also a warm and lightweight enough to transition between seasons. The tie-knot also adds a trendy touch. And the best part is this sweater is $22.99. I love it so much, I've already worn it 4 times! 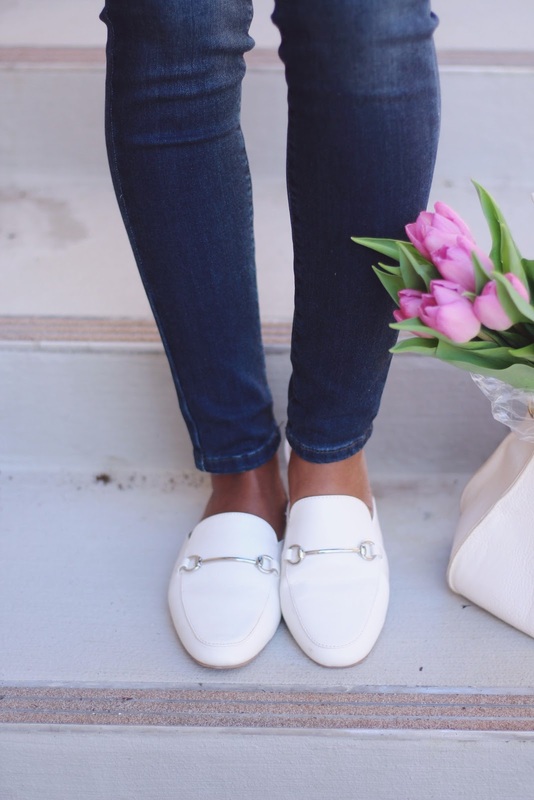 My white loafers also from Target! 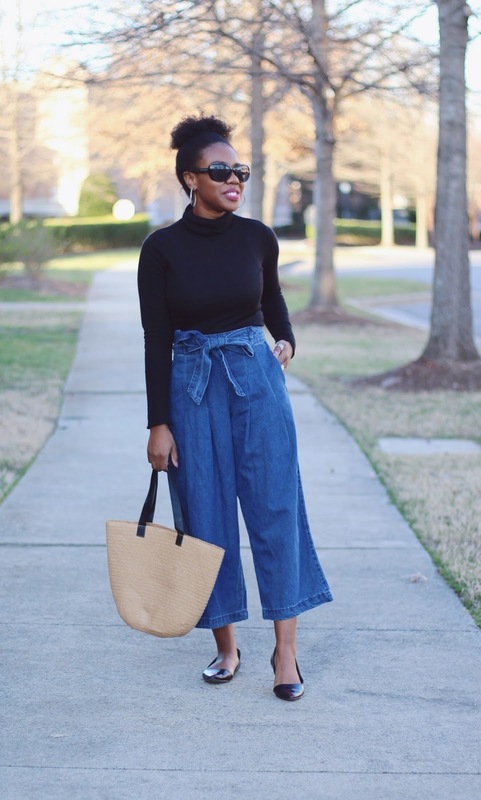 When Target first started promoting the Universal Thread line, I immediately spotted these pants in all the ads and commercials and knew I was going to snag them when the line finally hit stores. Unfortantauley my local Target didn't have them in yet, but I love Ship-to-Store! I will definitely be wearing these all throughout spring! 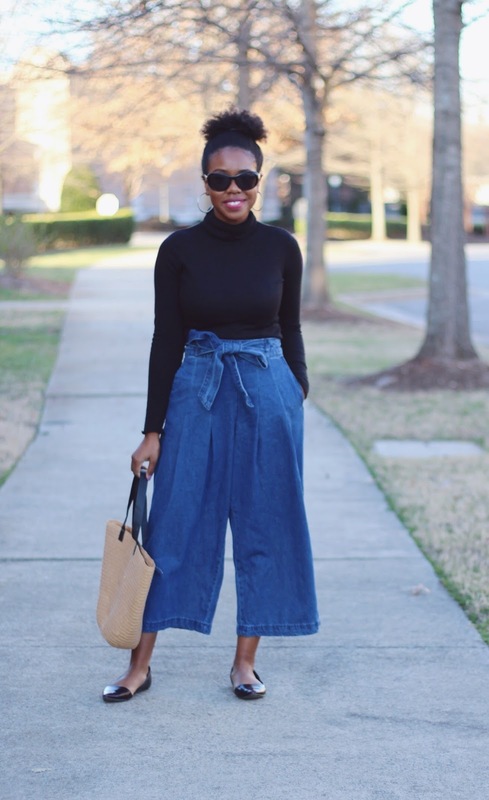 I'm a shortie, so I was a little worried about purchasing wide-leg pants. 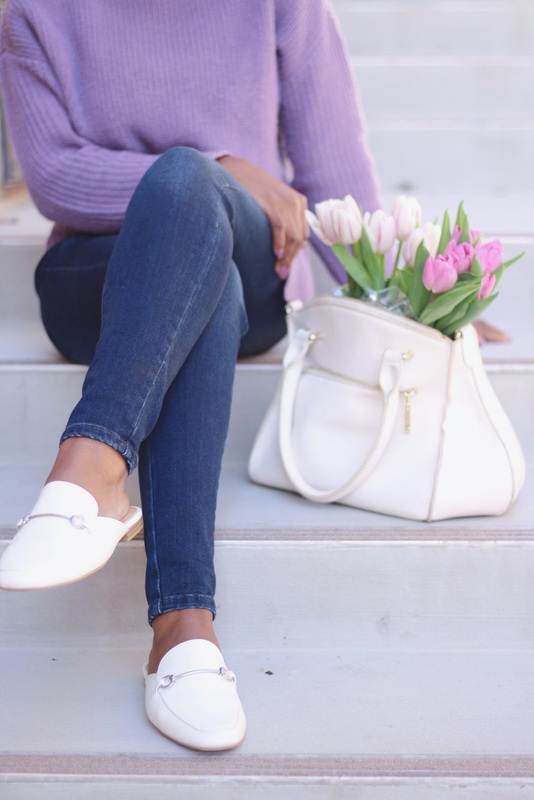 Typically they make my legs look like little stubs, but I suggest if you're shorter like me to pair them with pointed flats like I did here to elongate the legs and of course pairing them with heels, wedges or heeled booties will give some extra height! I love the bow detail and there's a zipper in the back so you don' have to worry about undoing it! 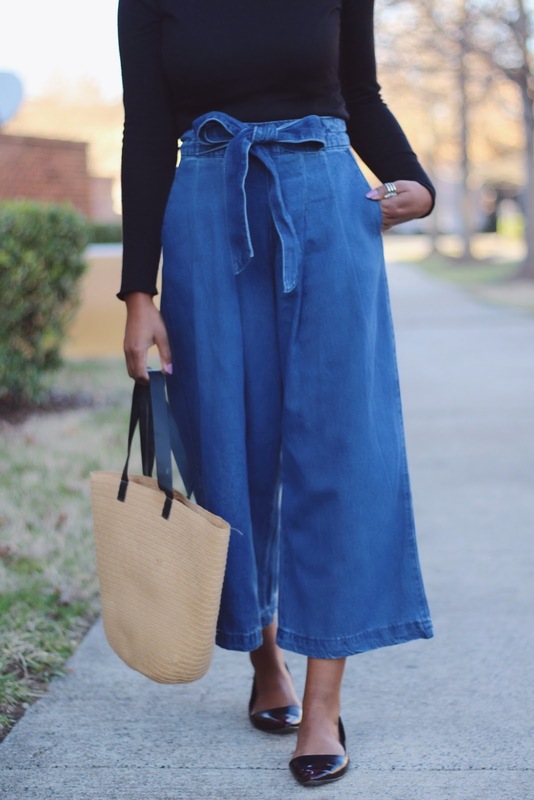 The best thing about the jeans from Target's Universal Thread is not only are they affordable but also range in sizes from 00-26 including short, regular and tall inseams! 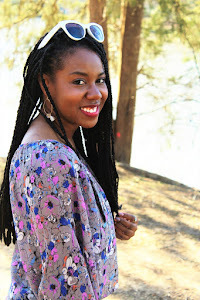 This top gives me '70s vibes and I can't wait to pair it with my Flare Jeans! This striped shirt is lightweight and will be perfect for a warm casual day!